Foreign media outlets, including Reuters, Bloomberg and the Financial Times, have launched a smear campaign against Treasury and Finance Minister Berat Albayrak and the Turkish economy following the March 31 local elections. With the goal to create a negative perception of the Turkish economy, the aforementioned news outlets had initially implied that the country would not be able to overcome the currency rate-related crisis and foreign investors would refrain from investing in the country. 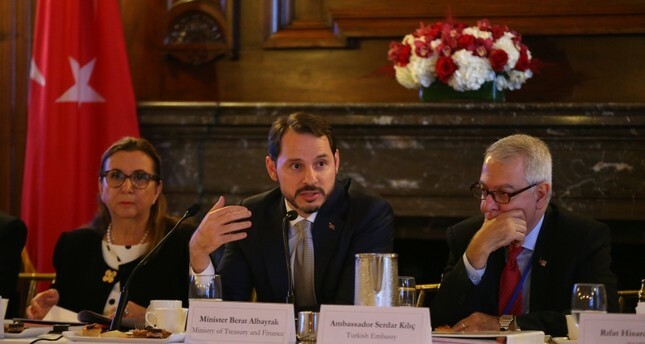 For instance, Reuters published an article following Minister Albayrak's remarks during a meeting with investors, claiming that his meeting left "investors unconvinced in Washington." Contrary to the Reuters story, investors welcomed Albayrak's pledges regarding the new reform package. Speaking to reporters Friday, the head of the International Monetary Fund (IMF)'s European department, Poul Thomsen, said despite some issues in the Turkish economy, "we shouldn't exaggerate the difficulties Turkey is facing." "Turkey implemented some important measures, including in monetary policy, over the last six months," Thomsen added, stressing that a tight monetary policy was needed to curb inflation. He also said the IMF and Turkey were not holding any official or secret talks outside their cooperation. Turkey entered an era of long-awaited reforms following the March 31 elections. The new reform package covers a wide area from banking to insurance, inflation, agriculture and the judicial sphere. The financial reforms will delve into all areas of the financial sector and contribute to the reinforcement of the capital structure of both private and public lenders. In addition to the financial sector, inflation is the second area reform efforts will concentrate on. In order to tackle food inflation, a new agricultural policy will be announced in May. With master plans for logistics, exports, and tourism, the country aims to increase revenues and support its development.